Winter is here and the weather is just perfect for weekend activities outside Riyadh. There are so many fun things to do during weekends in Riyadh you would not believe it! 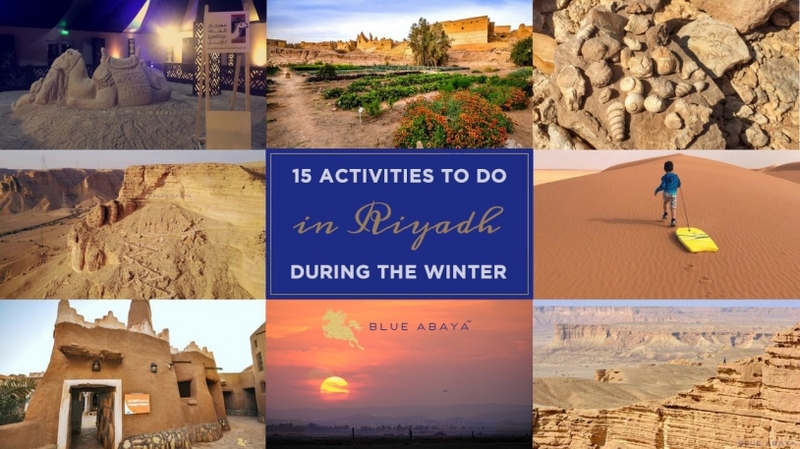 Here are 15 suggestions of things to do in Riyadh, specifically during the cooler winter months. Most of the listed activities are best for the months December through February. 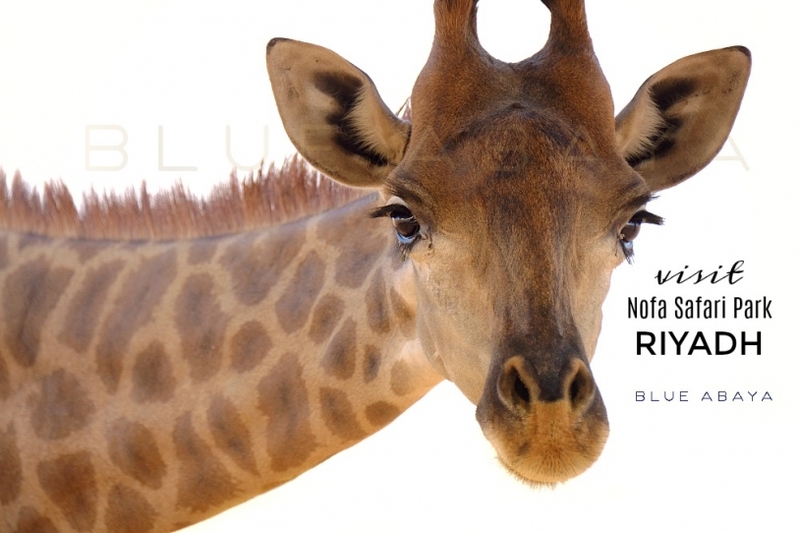 The amazingly beautiful Nofa resort and its wild inhabitants are now open to the public for visits! 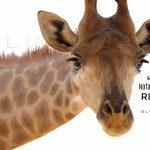 To go on the safari tour you have to book in advance directly with the Nofa resort beforehand. The price of the safari tour is 100 sar per person adults and kids. Tour timings are from 930 am to 330 pm on Saturdays and the tour lasts about 2 hours. It’s a great way to spend some time out of the city and the animals are really well looked after. #2 Watch Ancient Youtube-Rock art panels at Qaryat Al Asba. There are two sites quite close to Riyadh where you can view rock art. The one that’s easier to access and has more variety is called Qaryat Al Asba, about an hour drive from Riyadh. The rocky outcrop where the rock art is located can be reached with a normal car and it’s just off the Makkah highway. Saudi Arabia possesses world-class rock art so much so that UNESCO has recently included it in the World Heritage List. Check out the rock art in Jubbah, Ha’il from this post: Hai’l Archaeological site. 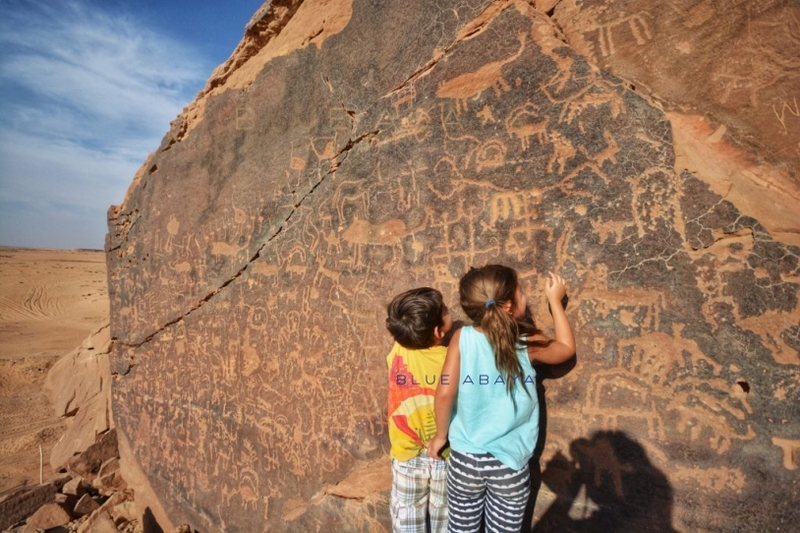 We found carvings depicting camels, giraffes, an elephant, lions, ostriches, hand and foot prints, palm trees, and even a scene of people hunting ibex with a pack of dogs. Important note! It is illegal to temper with this archeological site. Do NOT attempt to carve your own names in the rocks (as unfortunately, some ignorant people have already done there), the site is monitored by nearby guards and violators will be fined. The racing season is on at the King Abdulaziz Race track with the main prizes of King Abdulaziz Cup prize of 600,000 sar. The horse races are one of the top fun and free Riyadh weekend activities! The modern facilities are at a 9 square-kilometer property that is surrounded by green areas. Located next to the Janadriyah village, the Riyadh Equestrian Club and King Abdul Aziz racetrack is open on weekends with free entrance for everyone. Races start after Asr on Fridays and Saturdays. At the second annual King Abdulaziz camel festival visitors can watch camel races, camel obedience contests, camel caravans and of course the famous camel beauty contests. The festival area is located in Rumah, located about 120 kilometers North-East of Riyadh City. The festival is mainly aimed to celebrate the country’s cultural heritage, and is focused on the Camel, the “Ship of the Desert” and its important role for the Saudi Kingdom. The Festival is a great attraction not only for the camel beauty pageant but also because of the variety of activities: Camel auction, the heritage Souk, over 100 stands offering perfumes, spices, traditional foods, decorations, etc. Check out the Sanam Exhibition, the camel through time. Watch traditional sword dancing ‘ardha’, and theatre shows aimed for kids like Sponge bob, and Saudi girls dancing traditional dances. Beautiful sand art and interactive sand play area for kids. Kids indoor arts & crafts center where you can drop them off free of change for an hour with English speaking friendly professional staff. 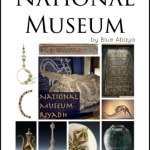 Free camel riding, camel exhibit, camel caravan, a camel book library and so much more. for more information how to visit click here. Dirab golf courses are a refreshing green escape from Riyadh city. They also have horse stables where you can take lessons or go riding in the nearby desert. This would also be a no abayas needed zone. Contact them through their website. Saudi Arabia is a sand boarder’s dream, with never ending sand dunes of different colors to choose from. Sand Boarding on the Riyadh red sands is a fantastic adventure; dunes can reach over 100 meters in height, they are gigantic and ensure everybody an amazing thrill ride! The sand is best to slide on after it has rained, this makes it more firm and you won’t sink in. You can get a sand board, sand sleds, sliders, and even sand scooters from the Sunaidi camping stores. It’s highly recommended you apply wax on the bottom of your boards, otherwise you might be going forward at snail speed! My sons favorite sliding device is a real surf board meant for the water, it works better than “traditional” sand boards. There are three camel trails along the Tuwaiq escarpment near Riyadh, named Camel Trail 1, 2 and 3. Camel trail #1 is the easiest to reach, the others currently have been fenced off and are difficult to access. In order for the camel caravans of the past times to travel up to Riyadh they needed to find a way to climb up the Tuwaiq escarpment. To achieve this the ancient camel trails were built. The trails follow the natural water courses flowing down the escarpment, and were reinforced with small man-made retaining walls. The caravans of the old days would carry not only traders with their goods but also pilgrims headed toward Mecca. You can reach Camel Trail 1 with a normal car, but an SUV is recommend for comfort as the track can get quite bumpy and rains can destroy the roads. It’s a very nice spot to view the sunset from and hike down the trail to the wadi below. Please take all your trash with you back to the city as their is no maintenance of this site! There are many areas around Riyadh where lakes appear after the winter rains. Some years are better than others. In 2018 many of the seasonal lakes have remained dry due to the lack of heavy rains this winter. There is always Wadi Namar in the Wadi Hanifa valley which has water in it year round. #10 Visit a Heritage Village. The picturesque Ushaiger heritage village and Raghbah village make perfect day trips from Riyadh. You can visit Ushaiger on your own by hiring a driver or driving yourself from Riyadh to the village about 1,5h one way. Once at the village the friendly villagers will show you around for free. There’s also helpful signposts in English around the village. 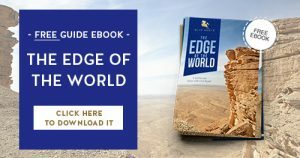 Part of the Arabian peninsula used to be the bottom of an ocean hundred million years ago. Proof of this we can see in the desert in the form of coral reefs, seashells and other fossils from the sea. A great way to spend some time outdoors and get some exercise in the process. The best places can can be found along the Tuwaiq escarpments. Search places: Areas having low hills with sand and stratified rocks such as the Tuwaiq escarpment and nearby areas. The trips include hands on learning about botanical history, geology and sustainable development, scavenger hunts, making scarecrows, planting, plowing and much more. 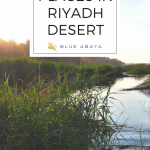 Reem reserve is located about 70 km west of Riyadh. A beautiful nature reserve surrounded by Red Sand dunes with an area larger than Bahrain! They make authentic Saudi desert experience tours including falconry, camel caravans, with accommodation in Bedouin style camp. 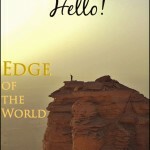 Contact Reem reserve through facebook for some or the best Riyadh outdoor activities! The traditional Saudi winter coats, the farwa and the bisht, come especially handy when out in the desert where temperatures can quickly drop close to freezing after the sun has set. A Bisht is a traditional Saudi cloak which is normally seen worn over the thobe at important occasions and celebrations such as weddings. These bishts are a very thin, sheer fabric. There’s also a type of winter Bisht made of thicker fabric perfect for the Saudi winter. Several places around Riyadh you can fly a gyrocopters and other small aircrafts and view the beautiful scenery from new perspectives. The best places for this are the Thumamah airport and the BanBan airport. 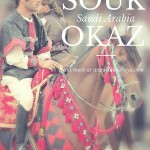 Souk Okaz Festival in Saudi Arabia- Like an Ancient Arabian Adventure Movie!